What Have We Learned 10 Years After Lehman Brothers' Collapse? 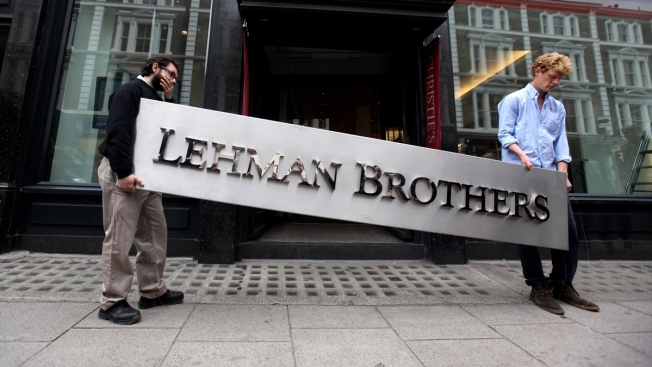 In this Sept. 29, 2010, file photo, two employees of Christie's auction house in London maneuver the Lehman Brothers corporate logo ahead of an auction of items that belonged to the bank. The implosion of investment bank Lehman Brothers on Sept. 15, 2008, was the first domino to fall in the subprime mortgage crisis that torched billions of dollars in wealth in the U.S. and around the world. We've learned from some of the mistakes that led to the banking crisis, NBC News reports, but not others. The economy has improved, lending standards are stricter and investors better understand the dynamics that led to the collapse, experts said. Yet a push from the Trump administration to roll back regulations put in place after the crash may bring risky behavior back. And experts warned that the market may be strong now, but most people didn't see the last crash coming.